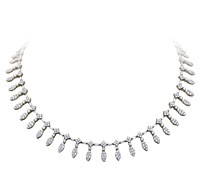 Rows of baguette diamonds with round 4 prong set diamonds along each edge give these diamond huggies plenty of sparkle from all angles. 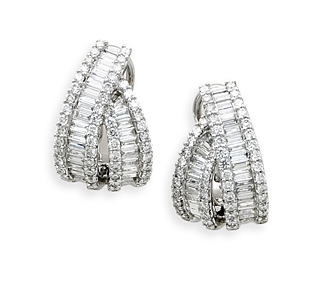 The diamond earrings have post and clip backs to ensure the almost 2 carat diamond wedding jewelry remains in place. 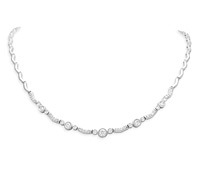 Diamonds: 1.95 TW | Gold: 18K White | Post | Length: 7/8 in.